“Handled with efficiency, courtesy and a sense of pleasure in knowing that all your staff really do care”- just one of the many reasons our clients chose to transport their car with us. 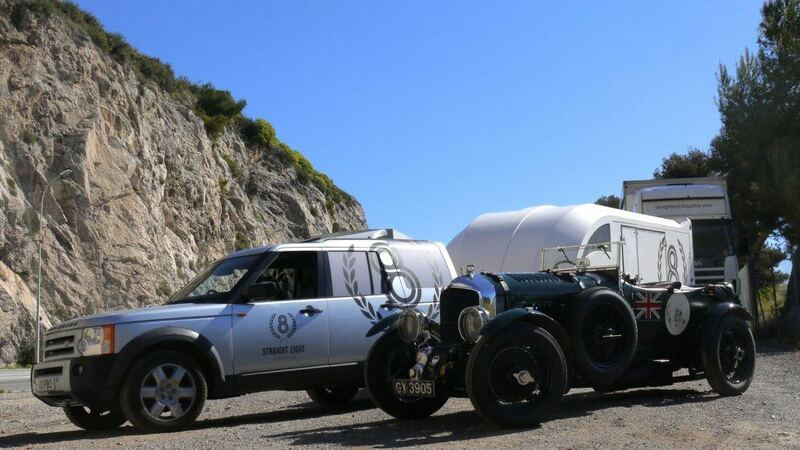 The team at Straight Eight Logistics are responsible for transporting some of the most irreplaceable classic and luxury cars in the world. That’s why we use our own fleet of specialised and fully enclosed transporters, so you have complete peace of mind from booking through to collection and delivery. Whether you need to transport your pre-war, post war, or modern vehicle, or even your race car, you can rest assured that when you hand the keys over to our uniformed drivers that they are fully trained and have the necessary knowledge and expertise to transport your vehicle safely. What’s more our drivers and office team operate in a confidential and discreet manner and will take the same care and consideration with your vehicle as you would. This means catering to your bespoke needs, such as precisely placing strapping to avoid unnecessary damage to wooden chassis, using winches to load inoperable cars, or ensuring the availability of low approach ramp angles for low slung super cars. Be it the transport of a luxury car down the road, to a dealership, a restoration workshop, or to and from another European country, you can rest assured that you have employed the best, as our professional team takes care of the smallest of details. Prior to loading your car our trained drivers will complete a detailed visual inspection of your car before loading in accordance with documented procedures.world.